We posted for you the other day Part 1 of the most popular Types of Chains for Men. Let's take a look at the Chains for Men that are still popular but may not be as commonly found. 1. Round & Square Byzantine Chains - This type of chain has really grown in popularity over the years with men and is a nice heavy duty and durable chain, especially for men who can be hard on their jewelry. This chain consists of several metal wires or stands that have been intricately woven together. The chain can be round or square shaped in its diameter and is found in various lengths and diameters. Due to the weight of these types of chains and the work involved, they are often pricier than other styles of chains. 2. 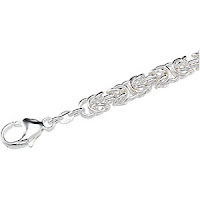 Cable Chains - This style of chains is pretty popular with men due to their simplicity. Do you remember those construction paper chains you used to make as a kid around the holiday season? Well, this chain looks the same way but is made from metal interlocking loops, just like that construction paper holiday chain you made as kid. They are made from a wide variety of metals and come in various lengths and diameters. Another version of a chain that is similar to the cable chain is the Rolo Chain where the loops used to form the chain on a Rolo are more round in shape whereas the loops used to form a cable chain are more oval in shape. 3. Box Chains - The box chain is popular with men and women because it's a sturdy chain for those to like to wear pendants and if your man is a pendant wearer, this is a great chain for him. Box chains are simply that...metal box links that interlock or interconnect with one another to form a chain. Box chains are not typically big, bold or chunky like other chains and that is usually because they are worn with pendants. But they can also be worn alone. With these descriptions and terms, you are going to be able to identify the type of chain that you like best. As the popularity of men's jewelry continues to grow, this post included some terms that you can turn to for assistance in finding the perfect chain for you. "Children's children are the crown of the old men, and the glory of children is their father." The Imperial Topaz gemstone is the most desirable of all of the Topaz gemstones and is highly prized by gem collectors and jewelry collectors alike. The Imperial Topaz is rarer than most other topaz colors because of the unique color range of the stone. There is a Brazilian Imperial Topaz that is magnificent when found in a rich golden brown color that is reminiscent of the perfect shade of Root Beer. It can even range into the yellows and violets. The beautiful Imperial Topaz comes in on the Mohs hardness scale at 8.0, making it a very durable gemstone which is loved and appreciated by jewelry designers. It is easy to work with and with proper care, can last for years and years thanks to its hardness and durability. You can find amazing pieces of jewelry set with this gemstone in earrings, bracelets, pendants, pins, brooches and in rings. 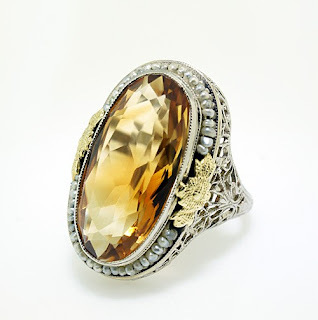 Care: All Imperial Topaz jewelry is considered semi-precious so you do need to take some care with your jewelry pieces. 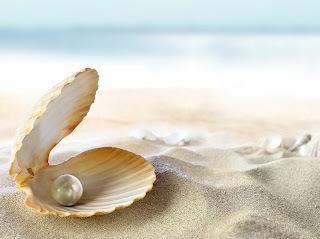 You should never bathe, swim, clean, shower or workout while wearing your jewelry. Water and chemicals can damage the stones and/or the jewelry settings. In addition, please protect your pieces from extreme temperatures and direct sunlight as some colors of the Topaz have been known to fade over time. When it comes to cleaning your pieces, wipe them down with a clean cotton cloth that has been slightly dampened with water, then towel dry. If they need a little deeper cleaning you can use an approved gemstone cleaner or take your pieces into a professional jeweler for best results. 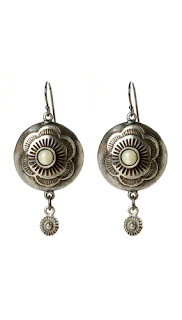 Make sure to store them separately in a multi compartment jewelry box for safekeeping. Check with your favorite jeweler for a lovely jewelry set in the stunning Imperial Topaz. You will have heads turning when they see the beautiful gemstone in any type of setting. Most women think that men don't wear a lot of jewelry but over the past decade or two more and more men are buying big and bold neck chains and bracelets. Today we are going to tell you about some of the most popular neck chains for men that you will see in the marketplace. 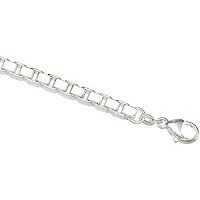 The curb link chain is one of the most popular styles of chains for men. This type of chain is pretty simple and consists of one link hooking into another link. 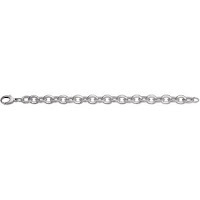 You can find this style of chain in a variety of sizes, thickness and made from a large variety of metals. 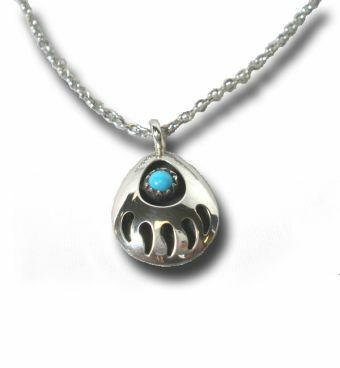 Most curb chains come with a lobster claw style clasp which makes them very secure to wear and easy for a man to clasp. 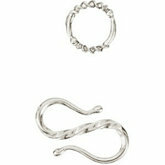 This style of chain consists of one larger loop and usually 3 smaller loops. In the industry you will often hear it referred to as a 3 by 1 figaro chain which means there are 3 smaller loops, then the big loop and then 3 smaller loops, which is repeated for the length of the chain. 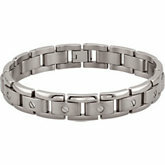 All loops are inter-connected and it's a very durable and sturdy chain for a man. 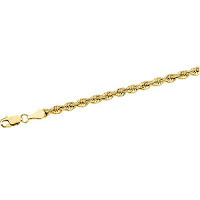 You will see this style of chain in a variety of sizes, millimeter thickness and made from a variety of metals. This style of chain looks just like a twisted piece of rope made from metal. 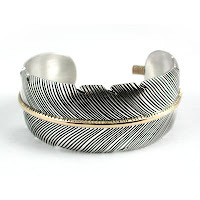 It comes in a wide variety of sizes, thickness and is made from a variety of metals. They can be found with lobster claw style clasps or with c-ring clasps attached to them which make them really easy for men to fasten. If your man likes to wear various pendants on his neck chains, the rope chain would be a great option for that as long as you get a smaller diameter chain so that it fits through the bale (or bail) of a pendant to hang. 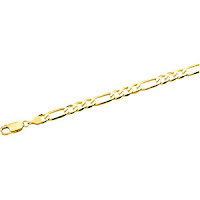 These 3 popular chains are readily available to purchase anywhere and look wonderful on a man's wrist or around the neck due to the thickness of the links. Are you looking for some new gift ideas for Father's Day and would you like to give something more than the classic silk tie? 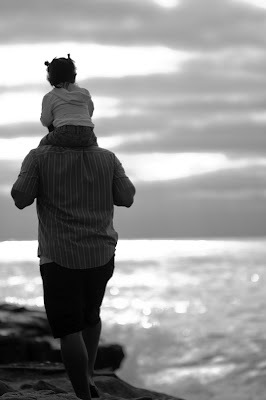 If you answered "yes" to these questions then read on and I will share with you my personal picks for Father's Day gifts. Does your dad have a men's valet box or valet tray? First, you might want to know what a valet box is. It is the men's version of a women's jewelry box. All men have accessories such as cuff-links, tie-clips, watches and cell phones as well as keys, loose change and other items that can get messy if there is no way to organize them. Valet trays and valet boxes were made to store these accessories neatly. Valet trays and boxes are usually placed on dresser tops. There are two basic styles. One type has an open top with several compartments and the other kind is a box with compartments with a top that closed and/or locks. Some of the valet boxes also feature charging stations for cell phones and other electronic devices. The trays and boxes are typically made out of wood or in some cases leather and are good looking as well as being extremely useful. The price ranges of valet trays and boxes begin around $45, the most popular price range is between $75-$200 and at the higher end of the scan you will spend around $300 for an elegant handcrafted valet. While we're talking about watches, another possibility for Father's Day is a travel watch case. A good example is the black leather five watch travel case made by RaGar. It is leather and available in either black or brown and fits neatly into a suitcase. If your dad likes to take his watches on trips, then this is a perfect gift which he will appreciate for a long time to come. There is one more item in the watch category and it is a watch-winder. 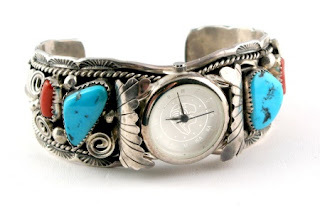 Watch winders are storage devices for self-winding watches. The watch winder boxes are powered by batteries or ac adapters and provide gentle motion to the stored watches so that they will always be ready to use even if they have not been worn for several weeks. Watch winders cost anywhere from $200 and up, but they are definitely a prized item for those people with several self-winding watches. Whichever valet box or watch case that you choose, see if you can get one with a personalized engraved name plate. This is a free option on some of our most popular boxes and it provides a nice personal touch to the gift. So, these are my suggestions for Father's Day and now it is up to you to start looking for the best possible gift. 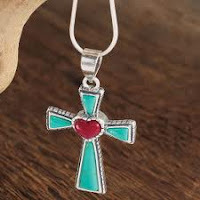 When shopping for necklaces, bracelets or anklets, you will see many different types of clasps that connect your jewelry piece together. Today we are going to look at 4 of the clasps and explain their workings so you can recognize them when shopping and find the best clasp for your usage. Later we will have a follow up article to fill out the variety of clasps used. Clasps are jewelry fasteners used in neck chains, bracelets and anklets to fasten one end of the chain to the other end of the chain. 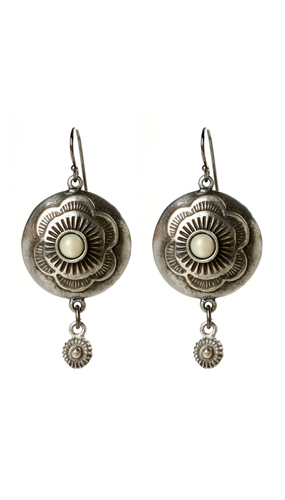 There are many different styles and shapes of jewelry clasps and they can be found in a wide variety of metals. Some clasps are purely functional and others are functional and decorative within the overall design of the jewelry piece. 1. 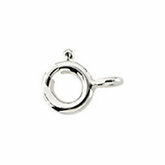 Hook & Eye Clasps - These types of clasps are very easy to use and consist of a hook shaped piece of metal that slides into the eye shaped (figure-8 shaped) clasp. You will mostl see this style of clasp used in necklaces and bracelets and not often used in anklets. 2. Lobster Claw Clasps - This style of clasp consists of a lobster claw shaped hook/clasp that is often connected to a ring made from metal. 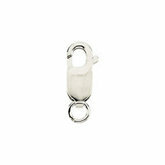 A lot of people prefer a lobster claw clasp as they are easy to operate and are very secure. 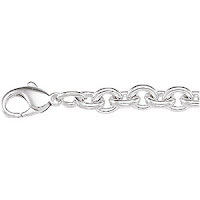 This is a great clasp for heavy, big & bold or chunky style jewelry that weighs more than a light-weight simple chain. 3. C-Ring/Spring-Ring Clasps - This style of clasp features a c-shaped ring that is spring-loaded and simply hooks into a matching o-ring but you can also find them hooking into a variety of other shapes like ovals and squares too. 4. Box Clasps - This clasp consists of two parts, the box or housing part and the tongue part which slides into the box/housing part to secure both ends of your chain together. Sometimes you will see this type of clasp used with a figure 8 safety-catch for added clasp security. 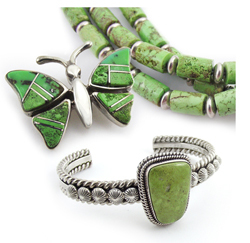 These 4 clasps are readily available on many of your favorite jewelry pieces. Identify the ones that work best for you so you can remember them when shopping next time. If you are looking for a distinctive gift for the man in your life then you should consider getting him a valet box. Valet boxes are the men's equivalents of the jewelry boxes that women keep on their dresser tops. The difference here is that men's valet boxes usually have some kind of open storage feature instead of a box fully enclosed with a lid. This article is a guide to some of the most popular valet box options on the market today. In case you are wondering why a man would need a dresser top organizer then consider the kids of accessories that the typical male usually uses. 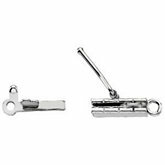 These include tie clips, tie tacks, watches, rings, cuff links, bracelets and many other items that they tend to use on a daily basis. In addition to these traditional accessories there are also cell phones and other small electronic items. In order to keep all of these items neat, tidy and easy to use, the valet box is the perfect solution. These boxes are styled for men and have a masculine look to them. Many of the boxes are made from fine hardwoods and some come with inlays of exotic woods as well. Some of the valet organizers are crafted from leather and feature watch storage. The wooden boxes usually have suede-lined compartments of various sized designed to hold the different types of masculine accessories. If your favorite man has more than one watch then you can opt for boxes that include dedicated watch storage areas. Some of the boxes have a lid which closes like a traditional jewelry box, while others feature an open area at the top where a man's most commonly used items can be kept for quick retrieval from the various compartments in that top tray. Keeping up with the times, many valet boxes are available with a charging station for multi-purpose organization of electronic devices. As I said at the beginning valet organizers make great gifts for Dads and Grads. A handsome dresser top organizer is a welcome change from the traditional silk tie on Father's Day or on a birthday. For your male graduate the valet box is a useful accessory which will help him enter into a new working life where he will appreciate being able to keep many items neatly organized and ready to use. A nice touch to the typical organizer is to put a personalized engraved nameplate on the box. If privacy and security is desired you can opt for a box with a lock and key. As with most items, there is a range of prices that you can choose from. The high-end boxes are constructed with the more exotic woods and leathers, but at all ranges the organizers are finished with good-looking, eye-catching style. No doubt some men have never heard of a valet organizer but when they receive a handsome and practical item on an important occasion they will definitely appreciate the thoughtfulness behind your gift. So, if you have a special man in your life, and you want to give him something that is useful and unique, consider getting him a valet organizer box. The months of May and June remind me of the joys of springtime but for many people this is the time of year when their sons and daughters and loved ones are passing through the important transition of graduation from high school or college. If someone you know or are close to is about to graduate here is a guide to gifts that will be perfect for this occasion and that will be remembered for years to come. Let's start with the ladies. A wooden jewelry box is a perfect gift for any young woman. Jewelry boxes and chests generally are placed on dresser tops and have several pull-out drawers with compartments for rings, bracelets, earrings and other jewelry items. The boxes are crafted from hardwoods and come in a variety of finishes. If you know something about the decor of your gift recipient's bedroom then you can choose a finish that will match. To give you an idea of what is available. You can select a classic wood jewelry box with a mahogany finish. This box contains a top section with compartments for jewelry and three pull out drawers. It measures in with a length of 13", a width of 9" and a height of 7 1/2". The list price of this box is $260 but graduation specials will allow you to save around $100. You will find a variety of boxes on our site with similar features and varying finishes. Another option for a woman's graduation gift is a jewelry travel case. These cases are usually made of leather and can serve as both a jewelry storage box at home and a case for jewelry when you travel. Travel cases range in size from small purse-like cases to larger boxes with several compartments. If budget is a consideration, then you will be happy to know that you can find graduation day sales for travel cases that allow you to get a nice gift for as little as $30. If you opt for a wooden jewelry box, you can add a nice touch by getting a personalized name or initial engraving which on some boxes is included at no extra cost. Now let's see what is available for the men on your graduation day gift list. A valet box or tray organizer is the men's equivalent of a women's jewelry box. 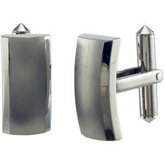 Men usually use a variety of accessories that include cuff-links, rings, watches, tie-clips as well as cell phones and other electronic devices. Valet boxes and tray organizers are perfect for keeping these items neat, orderly and ready to use. The valet boxes and tray organizers are crafted from hardwoods, and sometimes from leather. Their masculine look will certainly be appreciated by your gift recipient. If the male graduation in your life loves fine watches, then a watch box is a gift that you should consider. Watch boxes help store the watches safely and some of them feature glass lids which nicely display the watches. If your gift recipient has a lot of watches, don't worry. You can find watch boxes with storage for 10 watches or more. Finally if you want to get a high-end gift for someone with several self-winding (automatic) watches, then a watch winder is a unique item. Watch winders are powered by batteries or ac adapters and provide the gentle motion that seeps stored self-winding watches ready to use at any moment. Watch winders begin in price around $250. These are just a few of the suggestions for graduation gifts. Take a look around and choose the one that is best for the graduate that is nearest and dearest to you.